The mayor of Russia’s fourth largest city has admitted he realised one of the its problems could be solved in half-hour – but only after Vladimir Putin talked about it in his televised Q&A session. 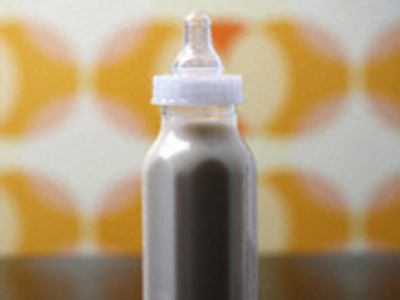 A woman phoned the Q&A call centre to complain that Nizhny Novgorod lacks baby milk plants. While the Prime Minister was answering her, the city’s Mayor, Vadim Bulavinov, made the promise that mothers would be provided with children’s dairy products for free. Baby milk plants currently work at only 10 per cent of their actual capacity. Therefore a key question is not the number of such plants in the city, but the need to reform retail chains over their policy on children's food in order to make it easier for people to get it. In Nizhny Novgorod 23,500 children have been registered in the last two years, and 1,500 more children live unregistered. Currently the output of the baby milk plants is 99,500 portions a day. Only 15 per cent of consumers of baby dairy products are getting them on a privileged basis for free (amounting to 3,500 children). Other consumers have to buy baby milk in regular shops. As it turns out, even one of the plants working at 100 per cent capacity would be able to completely satisfy the demand in baby food.